This week we are featuring the Kenwood TS-590SG. 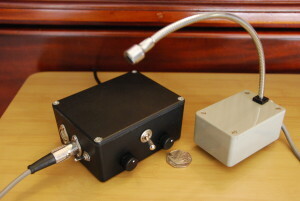 This is a very popular radio here at Wythall Radio Club – quite a few members have one. Without exception, it is a radio that garners great comments, both on the air and for it’s ease of use. The receiver in particular is really sensitive and selective – which is why so many TS-590s have found their way into contest setups. Reviews on the web regularly laud the TS-590SG as one of the very best bargains available in Ham Radio today. Why not make 2016 the year you grab one of these great rigs? 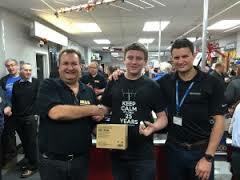 Please remember to quote the code “WYTHALL HAMFEST” – to ensure you get the best “on the day deal” before the big day. 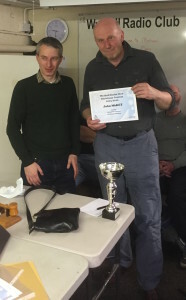 Wythall Radio Club & Martin Lynch & Sons – “The World’s Favourite Ham Store” at the Wythall Hamfest! 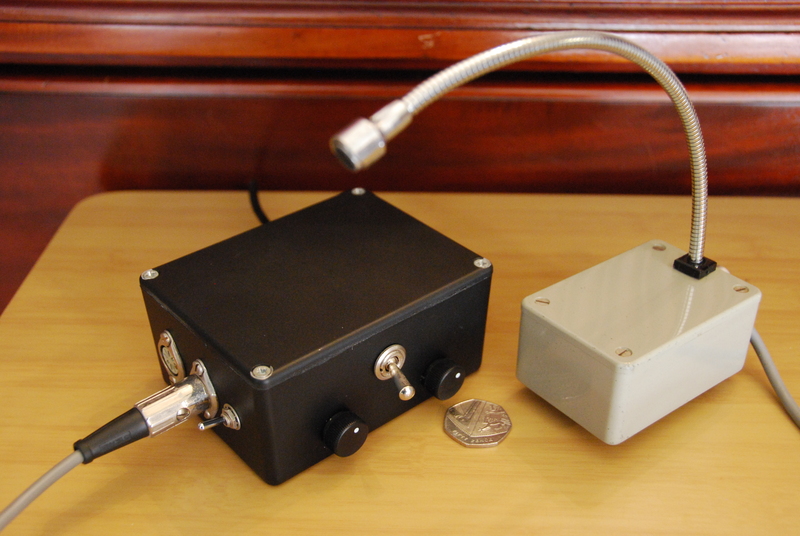 More news about Wythall Hamfest this year! The latest is that we have a Radio Society of Great Britain stall in attendance; local reps will be answering your queries and they will also have a fully-stocked bookstall, something always appreciated by “hamfesters”. Following the success of last year’s event, we are also putting on some short talks. Roger Stafford G4ROJ will be on the park field behind the halls flying kite antennas from early on and he will also be giving a short presentation later in the day; one of the top UK contesters Lee Volante G0MTN will be showing you how to build a really effective HF station – maybe worth a visit before you buy your new HF rig from Martin Lynch? And local Digital Mobile Radio (DMR) guru Noel G8NDT will be on hand with a DMR Q & A session where you can ask anything you wish and hopefully get an answer. So Wythall Hamfest is well-named this year – not just stalls and traders, but talks and demos too – a real “fest” for Hams! The clock is ticking towards the next Wythall Hamfest on Sunday 20th March and Wythall Radio Club is pleased to be able to offer some extra special deals together with our main trader Martin Lynch & Sons, “The World’s Favourite Ham Store”. Featured first in this mini-series of deals is the fantastic Yaesu FT-dx1200 – this rig provides sophisticated operation on 160 to 6 meters with up to 100 Watts on SSB, CW, and FM. A built-in 4.3-in TFT wide full color High Resolution Display with loads of information provides superior operability and visibility. More details are available on the MLS site here. If you are interested in one of these radios at a very special price (and pickup on the day of the Wythall Hamfest of course!) just contact one of the sales guys at Martin Lynch and Sons on 0345 2300 599 and quote the code “Wythall Hamfest”. This will ensure you get the best “on the day deals” before the big day and of course, with free pickup from the event, no carriage charges either! Wythall Radio Club & Martin Lynch & Sons – bringing you the very best deals at the Wythall Hamfest! Hands up those who have heard of the CAIRO Interface Scheme? Well, not many, and that includes our own members here at Wythall Radio Club! What on earth is this?? Find out next week! This Tuesday 16th Feb though, all is going to be revealed! CAIRO involves enhancing your home station with standardised signals and connectors, but there’s more to it than just that. Pete has a page on his website where you can have a sneak peek if you are really keen! However, hearing from the man himself and the opportunity to ask questions is always better, so come along this Tuesday at 8.30pm to Wythall House, Silver Street, Wythall B47 6LZ and join us to find out more! 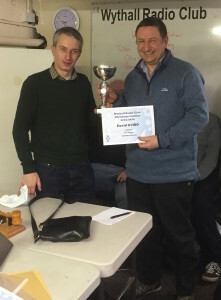 There’s big news for the Wythall Hamfest this year – we have just heard that the “world’s favourite ham store”, Martin Lynch & Sons are to take pride of place as top trader! ML&S recently celebrated 25 years trading in the Amateur Radio market and are well known throughout the UK and Europe as one of the largest suppliers of equipment. They regularly show their commitment to the Ham Radio scene by their continued sponsorship of events such as the RSGB Convention and the TXFactor video programme among many others. Their stalls are to be seen at the RSGB National UK Hamfest – you can even find them in Germany at the Friedrichshafen event! It is quite a coup therefore to have them come up the M40 from London to attend the Wythall Hamfest 2016. The guys at the store want our readers to know they are very happy for any pre-orders to be picked up at our Hamfest – just get in touch on 0345 2300 599 or via their website, make your order and pick it up (carriage free of course!) on Sunday 20th March. It’s another great reason to make sure a trip to Wythall is on your wish list this year! Following on from the previous news item, tonight has seen yet more presentations at Wythall Radio Club. 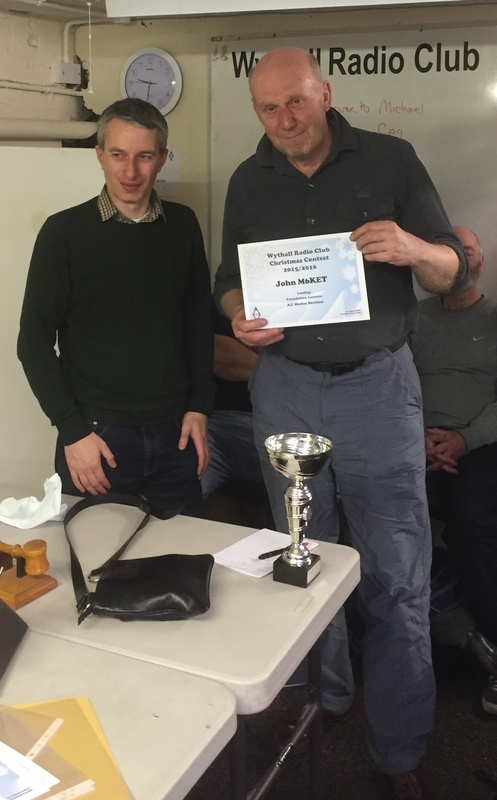 Christmas Contest Winner David G7IBO finally got home from France and up to the Club to receive the G7OJO Trophy for the Open Section. It’s been a few years of coming second for young David, but this year he finally managed to get his hands on the trophy! Well done to you, sir! John M6KET also was on hand to receive his certificate for the highest placed Foundation Licensee in the same section. What was particularly remarkable about John’s achievement was the fact that all his contacts were made using Morse Code. John is unusual in being 100% Morse and Low Power. Well done to both and great to see such fun being had on our regular Tuesday Club nights. Thank goodness that contest supremo Lee G0MTN was on hand to do the presentations!